While we still have hot weather to enjoy nice cool beverages I wanted to share one of my favorite refreshing drinks! An Arnold Palmer is 50% lemonade and 50% iced tea and is one of my favorites. But have you tried it with Hemptealicious?! It’s definitely a game changer. 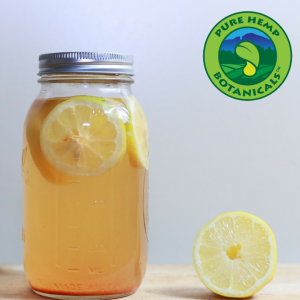 There are a few different ways to make the drink but I personally prefer to use homemade lemonade and Apple-Hibiscus Hemptealicious. It’s also really good with our plain Hemp Tea but I really love the added flavor with the Apple-Hibiscus. 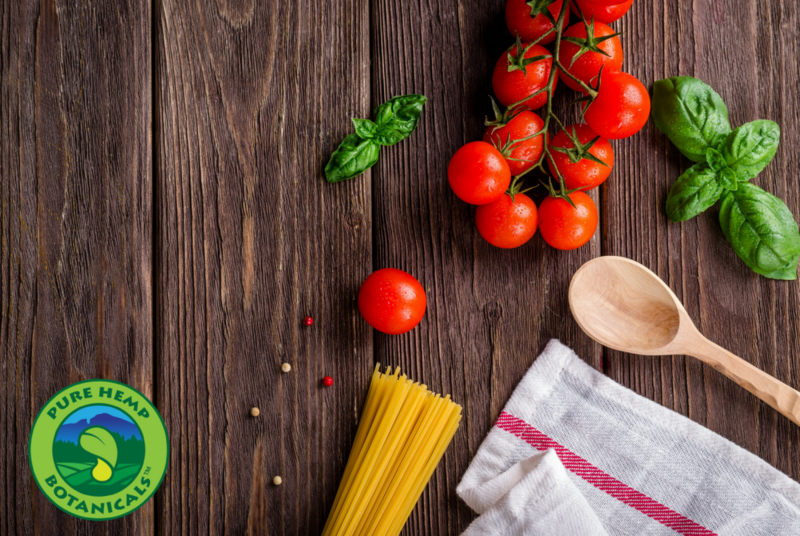 You can also make it a single serving with just one bag of tea, 3-4 lemons and 2 cups of water but below is the recipe for several servings! To start you’ll want to add 3-4 bags of tea to 5-6 cups of water. It just depends on how strong you like your tea and because we’re mixing with lemonade I always make it a little stronger than usual. Let that sit and steep until it is completely cool. While the tea is cooling you can make your lemonade! At this point, you’ll need to decide if you want to sweeten your drink or not. If not you can bypass the simple syrup stage. Add both to a to a medium saucepan. Bring to a boil over low heat. Stir until the sugar dissolves, then remove from the heat and set aside to cool. Juice your lemons, remove the seeds and mix with the water. Once everything else is cooled you add it all together! If you’re making it sweet you would add the simple syrup along with your tea! Mix together with ice and the sliced lemons and enjoy! 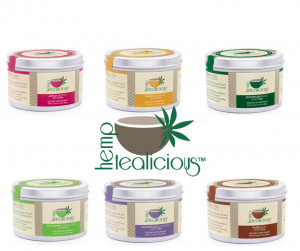 You can learn more about Hemptealicous and purchase it here!